Soon after I decided to ask to make my perpetual vows and was approved to do so, I became a bit obsessed with fire. At the start of each school year I have my students fill out a survey in order to get to know them quickly. It’s a long survey with all sorts of questions about their families, what they like to do for fun, their favorites, and, most importantly, their faith. I’ve done this for at least five years, and the results are always interesting. Plus, it really helps me know my audience. I was fascinated. I don’t want to single out the student and cause embarrassment, so I have not asked any follow-up questions. They seem prayerful during our class prayer time now, so I’m hoping they’ve prayed some now! Here’s the deal. We may over-complicate a lot of things, but prayer doesn’t have to be complicated or long. God just loves hearing from us. And, it’s really good for us. Here’s a video about a sister in my community and her zesty prayer life. I love what one of the other sisters says in the video about not knowing how many times a day she prays; that’s totally true for me, too. Prayer is powerful. And, it’s effective. This blog post summarizes some of what I was thinking, about God hearing our prayers for peace for Syria. We have to keep praying. God always hears us and responds. Although we might not like the response, we can keep in mind that it is God, who sees the big picture and is a Great Parent, can make the best judgment about how to take care of us. 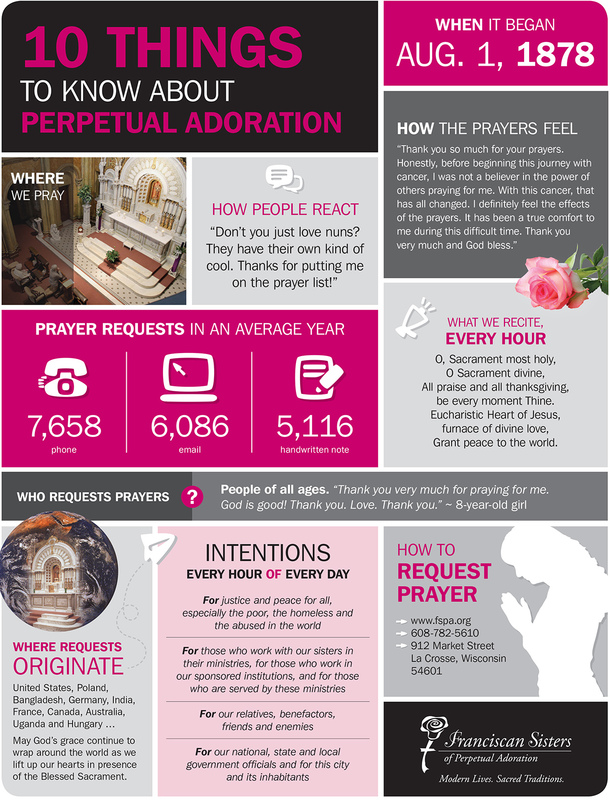 If you don’t know how to pray, here’s a tip: Start simple. Tell God hello. Say thank you. Acknowledge something beautiful. No matter what you say or how you say it, God will be delighted to hear from you. And, remember that God is always with you and loves you very much!! Franciscan Sisters of Perpetual Adoration Affiliate Emily Dawson works at St. Rose Convent in vocation ministry. 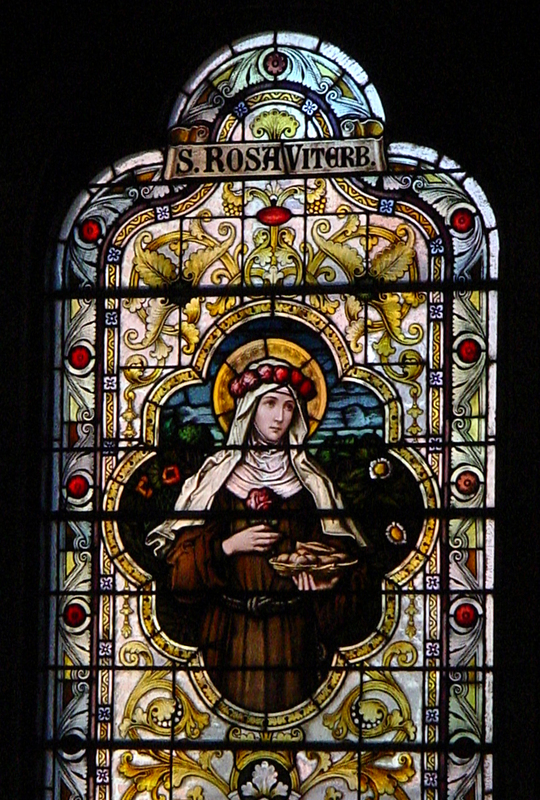 She was asked to write about the correlation between St. Rose of Viterbo, the patron saint of the FSPA (whose feast day is today), and life in the convent. 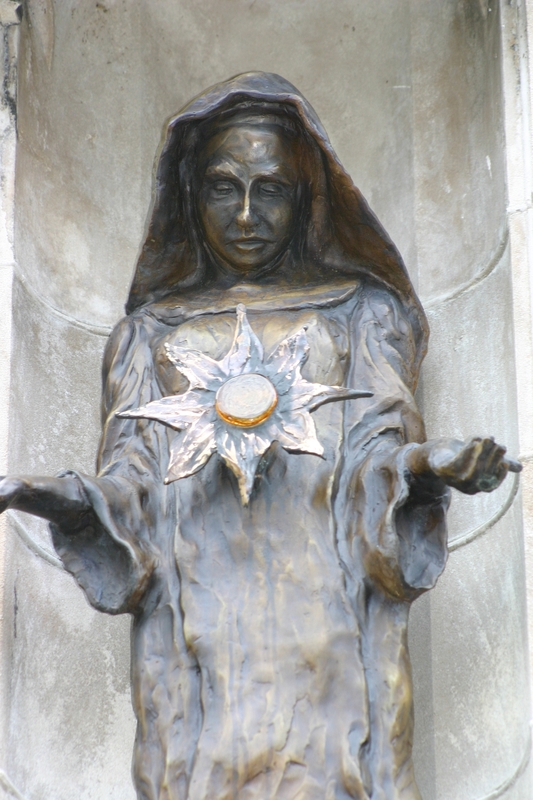 When I asked a FSPA in the know about St. Rose of Viterbo and how the saint relates to life in St. Rose Convent, she gave me one of those deep, quizzical looks that made me question every ounce of my education. Then, after sharing a brief historical synopsis; the knowledge that the patron saint was bestowed (not necessarily chosen); and the promise of literature in an email, she sarcastically wished me luck with making this connection and bid me on my way. Oh, now it’s on. Now it’s more than just historical reflection. This is a battle of the minds, people, and I am no theologian (so please be kind). It turns out that St. Rose wasn’t a theologian either. Well, how could she be? She was 17 during her mid-12th century heyday and a woman to boot. There was very little text meant for her. Yet, she was dangerous. And, might I add, seemingly crazy. I actually mean no disrespect. Crazy is a subjective term we give to things we don’t understand. 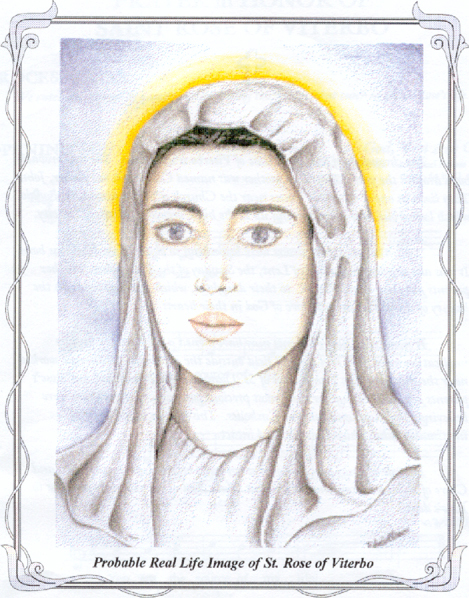 And St. Rose was so mystical, so obstinate and so progressive that people didn’t quite know what to do with her. So, they stuck around to watch. Her danger came in her ability to organize people—but not the right people. She organized women publicly (!!!). She taught others the road to salvation: something heavily debated at that time (with little theological background) which made those scholars nervous. She taught from the heart and had this intense passion for God that had to be shared with others. Despite threats to her family, their eventual exile, the cold they embraced living in the snow and her unexpected death, St. Rose’s short life and ministry—while not entirely documented (due to a fire that destroyed several documents)—made enough of an impact to live on for centuries. Her body did too, apparently (blech!). But no, I don’t know how there would be any similarities between Rose–an obstinate, progressive, mystical young woman; and the FSPA of St. Rose Convent–a group of (lovingly) obstinate, progressive, mystically minded, lovable wave makers. These women are theologically grounded yet continue to reach out to teach the way of salvation to God’s people—all because of this deep-seated passion for God. Nope. No idea. I guess all that’s left is to embrace my little rebel St. Rose inside and defy defeat. Happy Saint Rose Feast Day everyone! Note: In my first paragraph, I’m being facetious about my “FSPA in the know,” Sister Jean. She’s a fabulously sassy Sister whom I very much admire. Thank you, Sister Jean, for your insight into St. Rose! Have a blessed feast day everyone!! Sister Thea Bowman sings the old spiritual song. My vows have already been made to the Lord. When I was around 12 I first began to really experience God. 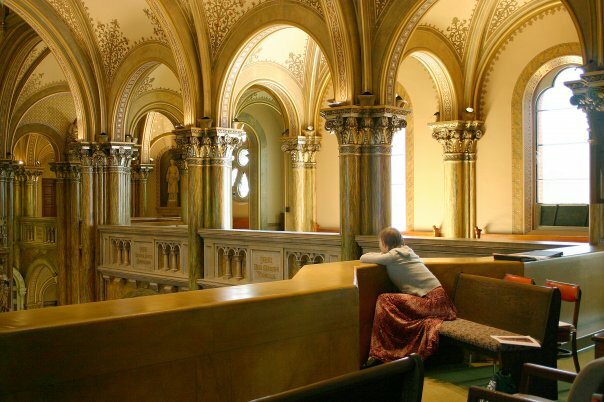 That led me to become an active Quaker and to seek God through silence and service. Somewhere along the way I had a distinct moment when I knew I had fallen in love with Christ and then when I knew I had fallen in love with the People of God. Both have been essential to my journey. Quakerism has been described as a religion which is communal mysticism. Community is essential and I found my love for community soon shaping my choices. From a Quaker college, to a year as a lay volunteer with Catholic sisters, to teaching at a Quaker boarding school I lived in small groups, prayed together, and sought God through communal means. 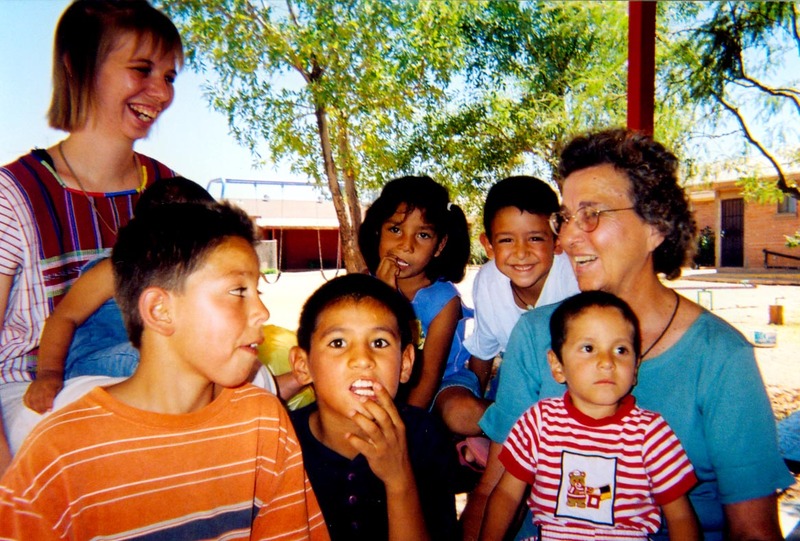 My love of Hispanic culture led me to Mexico, from there to the Franciscans and then into the Catholic church, which I experienced as a wider and more diverse community. At times I feel that formation has turned me inside out and then left me in my confusion to put myself back together again. Now I look at it differently. Incorporation demands conversion, but I am not alone. My sisters are with me, at varying levels of intimacy and personal skill, to both challenge and support me. I entered my Franciscan community after only being a Catholic for two years. I struggled with the title of “sister,” the public notice and appreciation, and centuries of baggage that were all new to me. A distinction during novitiate helped me name how I felt about becoming “a religious.” Being on a pedestal is not helpful to me or to anyone else and some of this relational model still hangs over from our past. However, I am called to be in a fishbowl. I have made public vows to Christ and the church and people should be able to look at me and see that I am at least trying to live how I say I do. I feel a prior claim to religious life. I also believe that this commitment is my free choice. 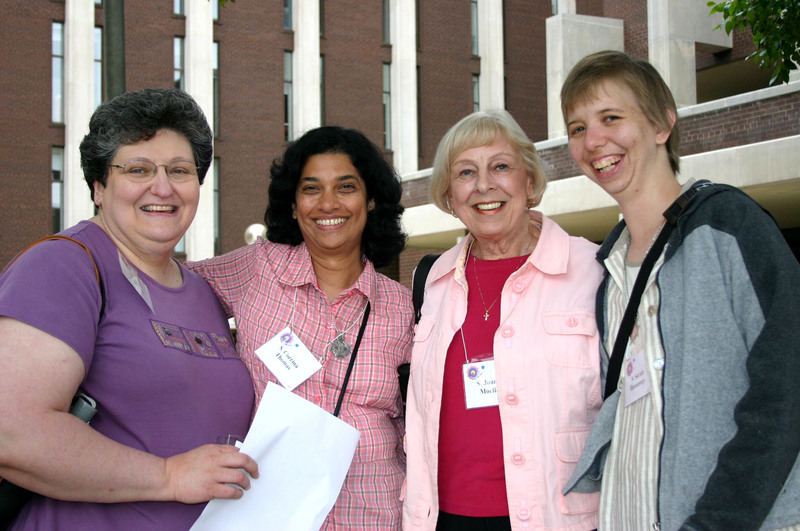 I am coming home to Jesus, the People of God, and these particular FSPA women through my “yes.” I believe to make perpetual vows is to live them and repeat them on a daily basis. I find religious life to be deeply intimate. Like the cross, the horizontal plane of relationship with others and the vertical call to deep union with God intersect daily. I need to pause and listen deeply before making this lifetime commitment and I know that listening needs to happen in relationship. When I meet other new members of Catholic orders I am always struck by how there is no fear around diminishment. Yes, religious life will change drastically in my lifetime. We have many losses, particularly at every funeral. But I firmly believe that this is a dynamic opportunity for religious life to remain fed by its source which is Christ. Sister Sarah will profess her final vows with the Franciscan Sisters of Perpetual Adoration in 2011. This is her fourth guest blog entry.